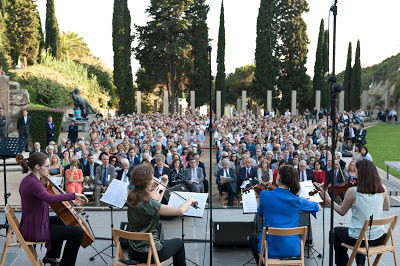 More than 1.000 people attended to the 4th edition of “A Concert Memory” in the cemetery of Montjuïc. The event has been organized by Cementiris de Barcelona in memorian of all the people buried in the cemeteries of the city throughout 2012. The concert combined music and poems. All these pieces have been created by several authors buried in the cemeteries of Barcelona. Nessun Dorma Orchestra and choir by the direction of Bárbara Granados, played pieces of Antonio Álbarez Alonso (Suspiros de España), Josep Anselm Clavé (Los Pescadors), Enric Granados (El Pelele) and Frederic Mompou (Cançó i Dansa Núm.1) among others. 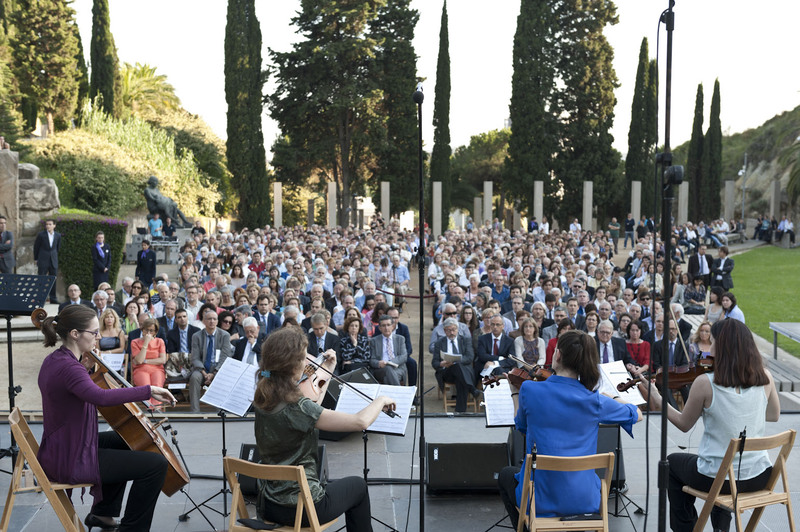 “A Concert Memory” is an initiative of Cementiris de Barcelona to pay homage to all the people buried in the city, as well as to bring these spaces closer to the society.